An Irish Sporting Adventure into An Ancient Culture with Experience Gaelic Games. In Ireland and want to sample Irish sporting culture? Would you like an Irish sporting adventure full of ancient culture? Experience Gaelic Games can offer you a super Irish sporting adventure. We will take you to the heart of Irelands sporting heritage with a lineage that stems back to prehistoric times. Ireland is filled with a magic aura; fuelled by the sports of Gaelic Football, Hurling and Gaelic Handball. They are full of myths and legends which have shaped the games over the course of three thousand years. So, immerse yourself in the ancient craft of Hurling and get to the grips with the techniques of Gaelic Football and Gaelic Handball in a fun filled Irish sporting adventure. Experience Gaelic Games helps you capture the magical past that Gaelic Games provides in modern day Ireland, in an enjoyable and entertaining atmosphere, in Dublin city. The experience is all about your participation regardless of age, gender or skill level. The fun is to see how well you can master a new cultural activity. An activity with a fun difference for all in Dublin. 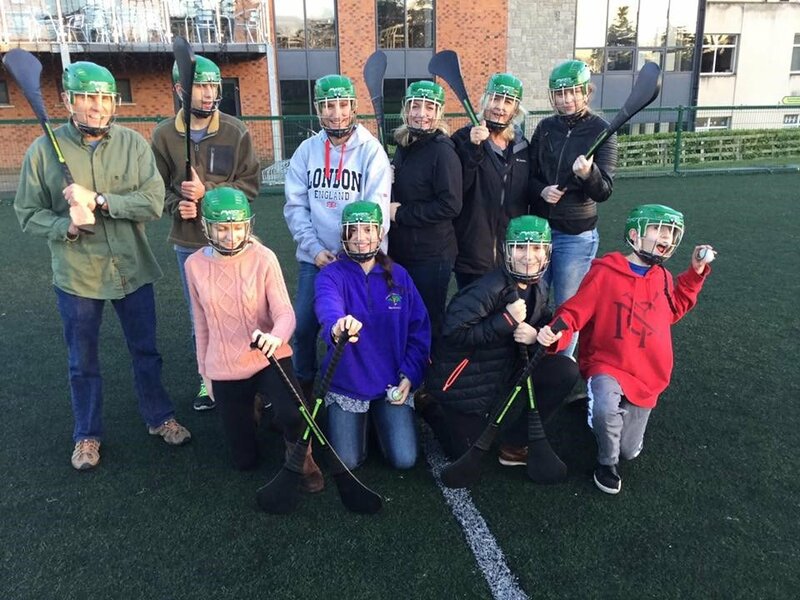 The emphasis with Experience Gaelic Games is on ensuring that our guests have a great, fun filled Irish Experience. You will learn a little about our culture and uniqueness and have some wonderful laughs along the way! We pride ourselves on making your experience of Gaelic Games a memorable one. Gaelic Games is much more than just sport; a session with Experience Gaelic Games showcases the power, passion and spirit within the Irish race. Be adventurous, be part of it via Experience Gaelic Games. 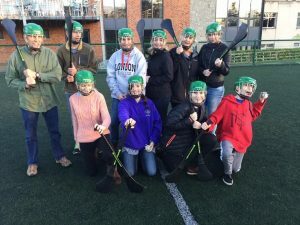 For more information on the great activities you can enjoy at Experience Gaelic Games click here. Or, to book your Gaelic Games adventure, click here. We had such a brilliant day. We didn't know quite what to expect but little did we realise what a pleasant surprise we were in for. The facilities you had were excellent. We all thought we were pro's by the time we were leaving. Thank you so so much!!! You're brilliant. I totally recommend this for a hen party(or any other excuse you can think of to go)!!! !